MUNICH -- Volkswagen Group is preparing to seize components from German suppliers that are withholding parts in a contract dispute, Germany's Bild newspaper reported. VW faces production stoppages at four of its German factories after two Prevent Group-owned suppliers providing transmission and seat parts halted deliveries. A German court last week ordered the suppliers to begin delivering parts again. An appeal in one of the cases has been set for Aug. 31. VW in the meantime has asked the court to fine the suppliers and allow the automaker to go to their factories and load up the parts on their own, the court in Brunswick near VW's Wolfsburg headquarters said in a statement today. The parts makers have until next week to respond and the court will decide then on VW's request, according to the statement. Bild said VW has plans to requisition the parts with a court official in the coming weeks. The paper quoted company insiders. Another German publication, Manager Magazin, said VW will seize the urgently needed parts only as a last resort. "We would like to reach an amicable settlement," the magazine quoted a VW spokesman as saying. VW production is being hit because ES Automobilguss has stopped delivering cast iron parts needed to make gearboxes. Car Trim, a sister company of ES Automobilguss, stopped deliveries of seat covers earlier this month. The suppliers essentially called the automaker a bully, prompting VW's top labor boss to respond that he's "furious" and the leader of its home state to say "coercive measures" by a court may be needed to end the conflict. CarTrim and ES Automobilguss today said the dispute had erupted because the VW had cancelled contracts without giving a reason and had refused to offer compensation, prompting them to stop deliveries. "Because Volkswagen declined to offer compensation, CarTrim and ES Automobilguss were forced to stop deliveries," the companies said in a statement issued through parent company Prevent. "VW's treatment of suppliers is in no way acceptable and can leave every small provider in ruins," Alexander Gerstung, an ES Automobilguss executive, said in the supplier's statement. ES Automobilguss said VW was trying to "exploit" its dominant market position to squeeze suppliers. A canceled order involved a 500 million-euro deal with Car Trim that was scheduled to start next year, said a person briefed on the supplier's business, who asked not to be named discussing the legal case. 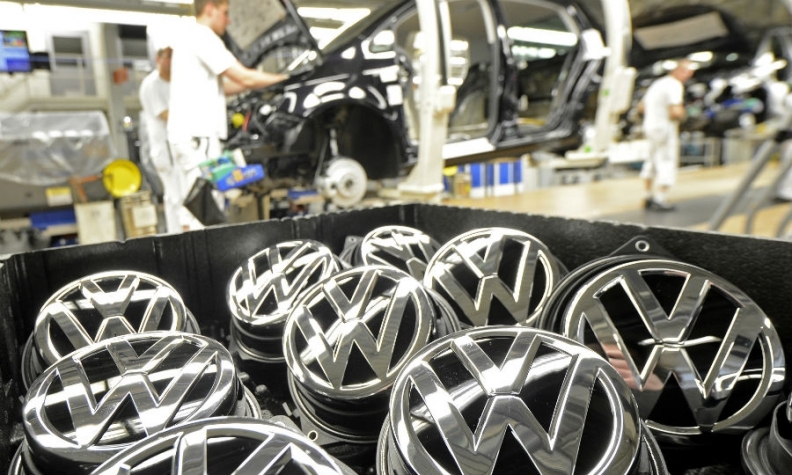 The supplier wants the VW to pay for the plant alterations it made to provide the services. Prevent said it was only those divisions that had a dispute with VW and that it hoped to prevent a further escalation of hostilities. Prevent Group is led by Bosnian businessman Nijaz Hastor, who through his Halog GmbH and Cascade International Investment GmbH holding companies has accumulated stock this year in German vehicle-seat manufacturer Grammer to become its biggest owner with a 15.2 percent stake. VW will halt Golf production in Wolfsburg, its biggest plant, for five days next week because of parts shortages, reports said. The plant builds Tiguan SUVs and Touran minivans in addition to the Golf, which is Europe's best-selling car. Shifts will also be curtailed at VW's gearbox-making facility in Kassel and at a plant in Zwickau that builds Golfs and Passats. VW has stopped Passat production at its factory in Emden. Stephan Weil, the prime minister of Lower Saxony, VW's second-biggest shareholder, told reporters that the suppliers must resume deliveries "very quickly" and that "an amicable settlement would be preferable, but if that isn't possible, coercive measures will surely have to be applied," citing judicial remedies available in such disputes. The suppliers' move is a "rotten, infuriating game," Bernd Osterloh, VW's top labor representative and also a member of its supervisory board, said in an interview with Bild. "When businesses put burdens on the backs of the employees, it's reckless and asocial, and must be stopped." The dispute threatens to reduce earnings by up to 40 million euros ($45 million) a week, according to Christian Ludwig, an analyst at Bankhaus Lampe -- at a time when VW is trying to boost sagging profit at its namesake brand by lowering annual spending by 1 billion euros. VW did not respond to requests for comment.